I love the idea of using a cake mix to make cookies. 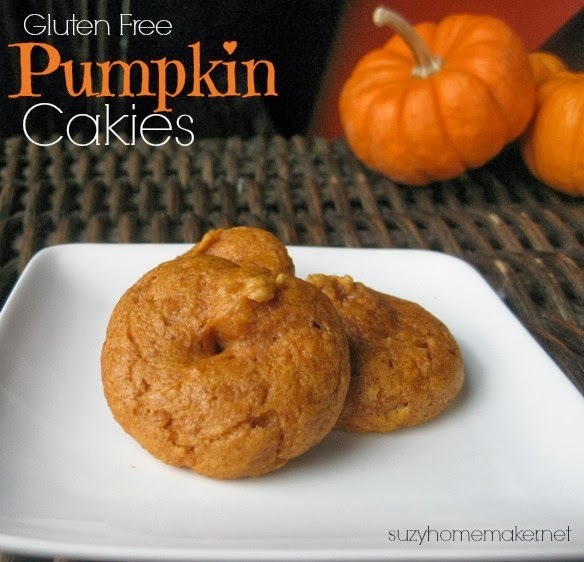 I happened to have some Gluten Free Vanilla Cake Mix (affiliate link) in my pantry and a can of pumpkin. I just needed to add some spices and I was on my way to some easy cakies. Why cakies? These are not as crispy as cookies. I wish I could say I coined the term, but I did not. I first saw it used here. Heat oven to 325 degrees. Mix the cake mix, pumpkin puree, and pumpkin spice in a bowl until combined. This creates a much thicker dough than cake batter. Drop ~ 1 tbsp worth of dough onto a cookie sheet. These really did not spread much for me, so you do not have to worry about placing the dough mounds close together. Bake for 8-12 minutes. I bet these would taste great with some cream cheese frosting.